Brothers in the Holy Land: AEPi chapter in Herzliya is first college fraternity in Israel – J. In what has become perhaps the most Americanized region in all of Israel, the sunny seaside city of Herzliya just landed a classic American import that it probably never expected: the Jewish state’s first-ever college fraternity. The international executive board of Alpha Epsilon Pi initiated 15 young men from the Interdisciplinary Center of Herzliya into the “Aleph” chapter of AEPi, at a ceremony in late June at the Sheraton Jerusalem Plaza Hotel. Among the initiates were six Israelis, six North Americans, one Australian, one Colombian and one South African. “AEPi was founded as a refuge for Jewish males who couldn’t get into other fraternities,” said one of the 15 founding fathers, 20-year-old American student Ron Bronstein, who hopes that his chapter will become an “international outpost” for the fraternity’s future growth all over the world. After visiting universities throughout Israel, the board determined that IDC Herzliya was the ideal location, according to Steven Kaplan, expansion director of AEPi. Located just 10 minutes north of Tel Aviv, IDC is Israel’s first private university, and it boasts a popular school for English speakers in addition to its Israeli program. “IDC has been trying for such a long time to bridge the gap between the international school and the Israeli school,” said AEPi chapter president Ofri Ben Porat, a 25-year-old native Israeli. University administrators have welcomed the fraternity on campus, noting that AEPi’s missions concur with IDC’s visions of “liberty and responsibility” and promote both achievement and camaraderie. “Many of the finest clubs and organizations on campus have sprouted as a result of the initiative displayed by our students,” said Jonathan Davis, head of the Raphael Recanati International School and vice president for external relations. 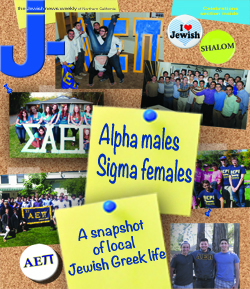 Eleven Jewish men formed AEPi in 1913 at New York University’s School of Commerce, and since then the Jewish fraternity has expanded to 140 North American campuses and has enlisted over 83,000 collegiate men. The brothers had always wanted to expand beyond North America, and particularly to Israel, where many brothers had strong connections and spent time studying abroad, Kaplan said. By 2010, the chapter hopes to open an official fraternity house on campus in Herzliya, so that members don’t have to live scattered across the city. “We’re trying to create this campus environment in the absence of one,” said Bronstein, noting that there are currently no dormitories on campus, even for the international students. In addition to social activities, like the fraternity’s kick-off beach volleyball event, philanthropic events are already in the works to benefit both the Herzliya municipality and Klik, a charity that assists entrepreneurial elderly residents who have been forced into retirement, Ben Porat said. “I was one of the biggest skeptics going into it,” said Bronstein, noting that age and culture gaps among the Israeli army veterans and younger international students were among his biggest initial concerns. But Kaplan convinced him that they could mold the chapter to fit their unique membership pool, where a mixed-age group could enjoy activities far more substantive than what they’ve seen in American films. 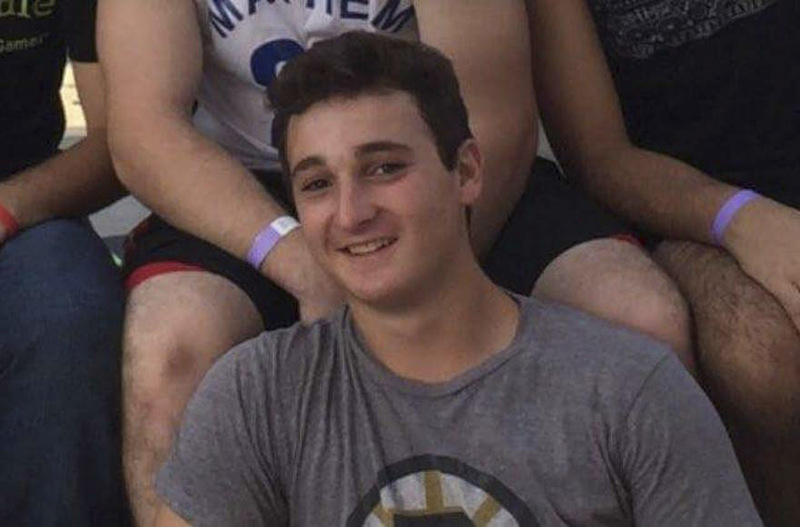 When Ben Porat was fulfilling his army reserve duty two weeks ago, he said that he too had to challenge such skepticism, after he requested permission to leave the base for his fraternity initiation. “I can’t explain to you the face my captain had,” he said, adding that his friends initially laughed at the idea in disbelief. But lifelong friendships can form through fraternity brotherhood just as they can through the army, Ben Porat explained to his army buddies, ultimately winning them over. “Israelis have always been completely attracted and mesmerized to this whole American campus life,” he said. And this fascination, Ben Porat believes, will lead more and more Israeli young men to crave this type of Jewish brotherhood.